Choosing to move to Hosted Desktops is a big decision. Choosing the right partner in your journey to cloud computing is the first step. Cardium Outsourcing started life as the hosting arm of Cardium Solutions. We were an enterprise level IT consultancy who had the honour of becoming the very first Microsoft Gold Partner in the North West. We first started hosting applications back in the mid 2000s, long before anyone had heard the term cloud computing. We were one of the first companies doing it. At the time we had no idea how cloud computing would revolutionise the IT world. We’ve gained a lot of experience since then, hosting servers for hundreds of customers and thousands of users. However, we have stayed true to the same values we had as a consultancy. Developing strong relationships with our customers and striving to do a better job then everyone else. 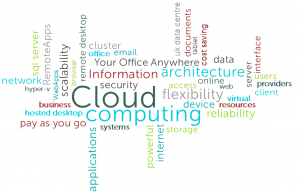 If you are thinking about a move to cloud computing please talk to us. We have a small technical sales team who have all worked in the real world providing enterprise and small business IT solutions. All our sales team have Microsoft Certified Systems Engineer certification. However, they are also business people and understand the needs of small businesses. Start your cloud project with a simple conversation. We can then provide a proposed solution and quotation, perhaps a trial account or WebEx demo. Then if you sign-up we will manage the move to the hosted platform, making sure everything works for you as it should. No matter what the issue our friendly UK helpdesk team are on hand to help, with 24/7 cover for critical issues. Being one of the longest established Hosted Desktop providers we know what works. We stick to tried and tested technologies and don’t add on unnecessary complexities. We also stick to Hosted Desktops using Windows Terminal Servers. We don’t use VDI (virtual desktop operating systems) as this is a more costly solution with higher administration overheads. We own and manage all our hardware. Everything is hosted in the UK. We often post news items, tips or tricks on our LinkedIn and Facebook pages, we would love to connect with you there. Our friendly staff are more than happy to help you with your queries. Please feel free to get in touch for a no obligation chat on 01282 500 318 or use our online contact form and we will be back in touch shortly!